The Academy of St Nicholas is a cashless school and we ask all parents / carers to only use our e-payment method to pay for dinner money, trips, activities and other items such as House T-shirts, revision guides and lockers etc. 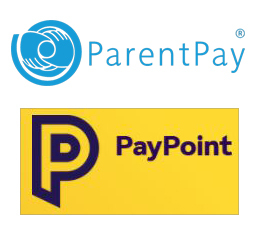 This can be done online using a very secure website called ParentPay or in cash at local stores where you see the PayPoint logo. When students join the school, parents / carers will be issued with a secure on-line account with a unique user ID and password that can be changed to something they will more easily remember and, if appropriate, accounts can be merged for two or more children. If you know your account details click HERE to log in.